100th property has been certified, 10 years of the "greenproperty" seal of quality and 20 years of the Minergie standard in Switzerland. That's the significant milestones of sustainable development in real estate industry in Switzerland. The 100th greenproperty building is the headquarter of Fossil in Basel. 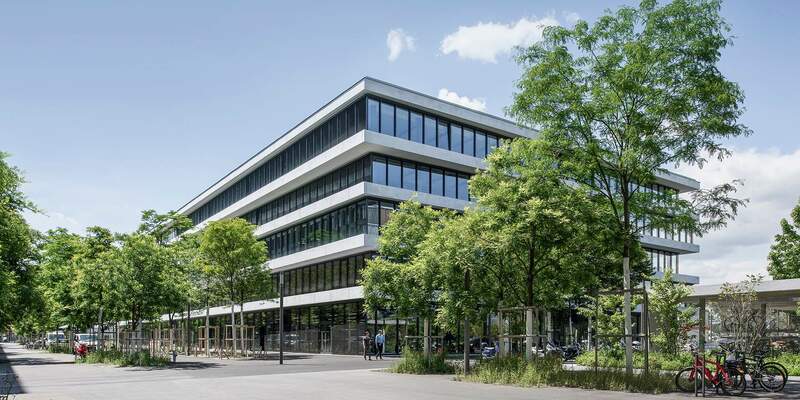 The main European base of the Fossil Group, which is located at 182 Riehenring in Basel Erlenmatt, is something of a flagship property for the CS REF Green Property portfolio. The office premises are as enticing as the jewelry made by the company. 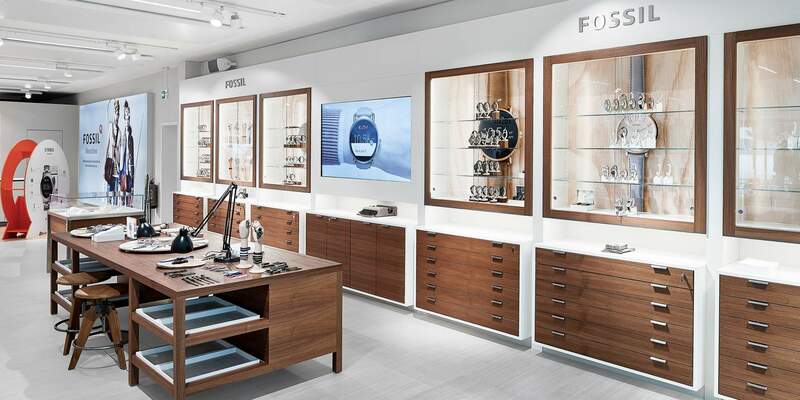 They include a stunning showroom encompassing some 2,500m², which is open to local and international visitors alike. And all of this in a Minergie-P certified building located just a stone's throw from the Basel Exhibition Center. This eight-storey newbuild, with a total rental area of 10,718m² and a market value of CHF 53.45 mn, sets new benchmarks when it comes to combining environmental, social, and commercial aspirations in a highly aesthetic shell. The standards of greenproperty are reflected in the Minergie-P certificate, but were also achieved through state-of-the-art district heating and a cooling system based on groundwater. Social considerations were also taken into account thanks to excellent local public transport connections and the close proximity of Erlenmattpark. It is therefore no wonder that the company concluded a rental agreement for a 20-year period. But the efforts to ensure this building's sustainability have not stopped with the conferral of the greenproperty seal of quality. The combination of ongoing energy-related data recording and associated operating optimizations will ensure that this property continues to be operated and managed sustainably for the duration of the rental agreement. Bringing about energy transition in buildings was the objective when the Minergie standard was launched back in 1998. And this vision is still very much alive. Whereas the founding of the original association was driven initially by the cantons of Bern and Zurich, all of the Swiss cantons are now committed to promoting the standard. Close collaboration on this issue, including at federal level through the Federal Office of Energy, is one of the factors behind the success of the Minergie concept because this broad-based support not only makes the standard credible, it also raises awareness. At the start of the millennium, investors and the construction industry gave the standard further momentum: Under the auspices of architects and planners, a specialist partner model provided the incentive to qualify and be classified as a "Minergie specialist partner". Over the years, the aspect of quality assurance in relation to Minergie standards has been expanded in order to keep pace with changing parameters. It is almost impossible to imagine a construction world without Minergie standards nowadays, as these standards place quality and comfort at the forefront of design and continue to shape the Swiss real estate landscape and the construction economy in a lasting way. More than 300 properties in the Global Real Estate portfolio, with a combined market value of CHF 6.6 billion, now boast the Minergie standard. All three Minergie standards can be combined with the "Eco" designation. These buildings fulfill additional requirements in terms of their healthy and environmentally friendly construction design. This voluntary building standard requires the efficient use of energy as well as widespread use of renewable energies, while at the same time improving quality of life, safeguarding competitiveness, and reducing the environmental footprint. This standard designates and classifies buildings that strive for near-zero consumption of heating energy. Minergie-P requires an independent building concept that is geared around low energy consumption. Buildings certified according to the Minergie-A standard produce more energy than they consume when viewed over the year as a whole, thereby combining living comfort with the highest possible level of energy independence. The future of energy use in the real estate industry is about to celebrate its tenth birthday. This is the period of time that has elapsed since the Global Real Estate area of Credit Suisse Asset Management first launched the greenproperty seal of quality. One hundred sustainable buildings have been certified so far under this standard, and a further forty-six buildings are currently in the process of being certified. The CS REF Green Property portfolio is mostly made up of properties certified under the greenproperty standard. This is a good example of sustainable, future-oriented construction and an asset management approach that also extends to social and environmental aspects. To give an idea of how the positive aspect of sustainability feeds through into the figures, the market value of Global Real Estate portfolio properties certified with the greenproperty standard has risen to CHF 6 billion since 2010. "Green" operation of real estate generates added value compared to conventional properties. Global Real Estate of Credit Suisse Asset Management has taken a leading role in this field globally with the first climate-neutral real estate fund, CS (Lux) European Core Property Fund Plus. Gleis 0 in Aarau. Living and working sustainably. Gleis 0 (literally "Track 0") in Aarau is a construction project that more than meets the fund's exacting ecological, social and economic criteria. How relevant are sensors for Digital Health? In the last couple of years, world politics seem to be on a path where nations are increasingly growing apart. At the age of connectivity, where the six degrees of separation1 theory looks more true than ever, this is quite a direction shift. Despite this multipolar scenario, there are various common global challenges to take on.